Think about your inner circle of close family and friends, what is it about them that makes you feel warmly towards them? Chances are, your mind just flashed an image of them beaming their mega-watt smile your way! A stunning smile is one of the most beautiful wonders of our world. Smiles symbolize happiness, connection, laughter, and love, so what could be more important than feeling confident in your smile? At Dental Implants Clinic we’ve seen countless patients who hide their smile because of an ongoing battle with their self-esteem due to their teeth. While we believe that the beauty of a smile comes from inside, we understand the undeniable power that cosmetic dentistry services can have on an individual’s overall self-image. We believe in the healing powers of a genuine smile, and that means that no smile should ever go hidden! If you’re looking for more information about how you can revamp your teeth to feel the most confidence in your pearly whites, you’ve come to the right place! Who needs Cosmetic Dentistry Services? While many people could be great candidates for cosmetic dentistry, not everyone feels the pull to book an appointment to receive it. With fillings and root canals being primary dental concerns, it can feel like an indulgence to treat something that isn’t necessarily causing you any pain. However, it’s imperative to determine how important having a winning smile is to you, and how any insecurity you have about your teeth could be impacting your willingness to share your radiant smile with the world. They don’t call them pearly whites for nothing! The constant quest for white teeth is the reason why many people avoid wine and drink coffee through a straw. Fortunately, teeth whitening is a very easy treatment that has large effects on the overall health of a smile. Perfect for those who’ve just gotten their braces removed, and even individuals simply looking for a touch-up! Have you ever seen a smile that simply exudes the look of perfection? You may have been looking at a set of veneers! So what exactly are veneers? Dental veneers are thin shells of porcelain or resin that cover up the front side of your teeth. The process of getting veneers is a bit more advanced than teeth whitening. 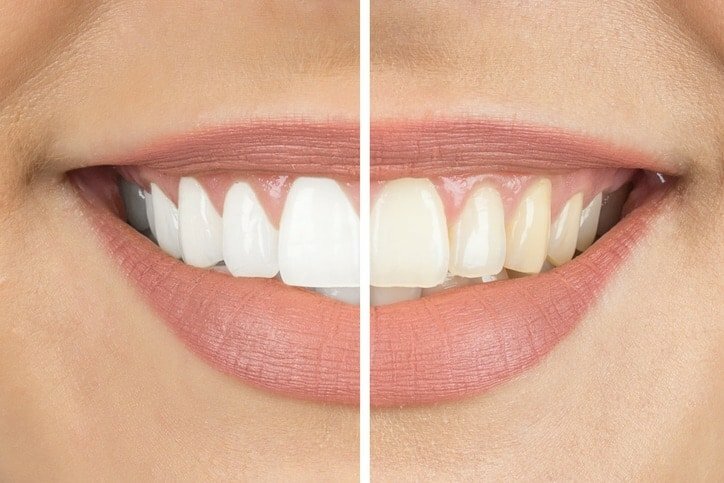 When receiving veneers, your dentist will remove half a millimetre of enamel from the tooth surface, and bond the shells to the front of your teeth to achieve the shape, colours, size, or length that you’re looking for. Perfect for those looking to repair decayed, chipped, cracked, and crooked teeth, or even find an alternative to silver or amalgam fillings, dental bonding is when a dentist uses a tooth-coloured resin and hardens it to your teeth with ultraviolet light. After this step is complete, your dentist will then shape the tooth to fit your preference! 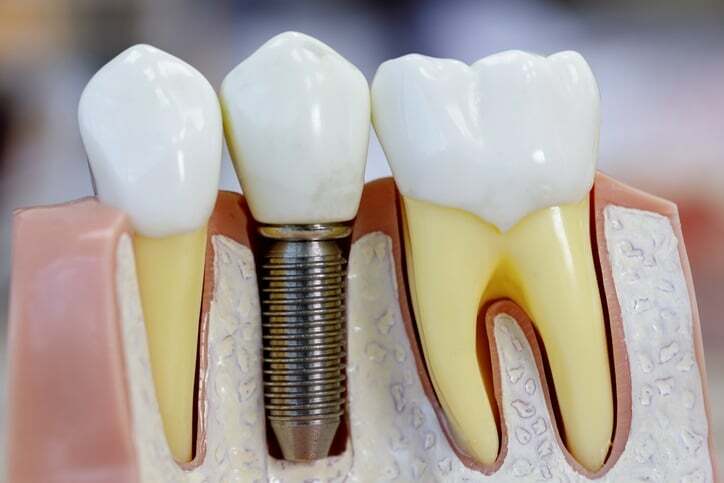 Dental implants are designed to mimic natural teeth and serve as replacements to tooth roots that are placed into the bone socket of missing teeth. At our clinic, we begin with a CT scan of the jawbone to ensure the procedure goes smoothly. After this is complete, we create an artificial root using a small titanium screw that is placed into the jawbone. Once the root is secured in the bone, a dental post is used to secure a dental crown for a natural looking tooth restoration! At Bond Street Dental Implants Toronto, we offer a plethora of services, cosmetic dentistry and beyond, that help our patients truly feel pain-free and at peace with their smiles! If you’re looking to feel more confident, and have better dental health, contact us today to book your first appointment!